This article is taking shape during a comprehensive mail correspondence with the Danish soprano saxophonist, Eskil Romme. He is on tour in Australia and New Zealand with the violinist Peter Uhrbrand from Fanø and bouzouki-player Jens Ulvsand from Sweden. 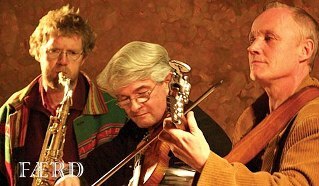 They are Færd, Denmark’s most widely travelled trio, a folk band with concerts in every imaginable venue, from little village churches, to schools, culture centres and theatres, to huge marquee festivals with audiences of tens of thousands. To call Eskil Romme, from Himmerland in northern mainland Denmark, an activist is like calling Bob Dylan a guitarist. Eskil burns a lot of midnight oil on his farm in the north mailing with music enthusiasts and festival organisers on the other side of the planet, fixing the details of yet another tour for the Danish-Swedish trio. Færd (the name means Journey) began in 2001, when Eskil Romme and Peter Uhrbrand had visited the northern archipelago, the Faro Islands, in the North Atlantic between Scotland, Iceland and Norway. They were both interested in the famous melodies collected by Faroese minister and musician Jens Christian Svabonius’ (1746 – 1824), and by Faroese dance and its many long, historical ballads. Eskil and Peter soon started the group Færd, which originally included the English accordionist Karen Tweed, the Danish singer Nana Lüders and the English guitarist Ian Carr. Together they recorded the cd Færd, and travelled to the Faroes to give a series of concerts there. Færd was nominated for no fewer than 5 Danish Music Awards, and was often played on the radio both in Denmark and in the Faroes. The three musicians at the heart of Færd are each important players on the Danish and Swedish folk scenes. Peter Uhrbrand is one of Denmark’s leading exponents of the traditional music from the little Danish island of Fanø, where he lives. 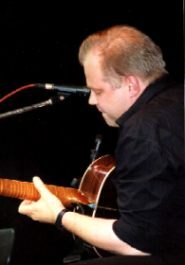 Jens Ulvsand plays in a number of bands in Denmark and in Sweden, and is also known as a talented composer and teacher. Eskil Romme composed and released his first solo album in the spring of 2009: Himmerlandsmelodier. Eskil is also musical director for the famous venue Halkær Kro, as well as Halkær Festival in north-western Jutland. Morten Alfred Høirup (*1961) is a Danish musician, composer and music journalist. He has been playing the guitar and singing in the Danish duo Haugaard & Høirup, and is currently working freelance for Danish Roots. 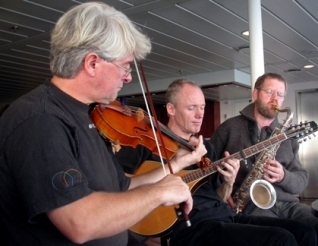 Færd is, in other words, basically a trio, but tours as a sextet, continuing to promote Danish and Scandinavian music and culture throughout the world. Eskil Romme is already booking their next tour in Australia and New Zealand, and plans tours in Denmark, Sweden, Italy and many other places. New guests will doubtless appear, too. But right now the trio are on tour on the other side of the world, a month’s concerts lie ahead, thousands of kilometres to be covered, and next year’s album to be planned. Hear Færd when they come to your part of the world – and they will, you can rest assured. Photo Credits: (1)-(2) Færd (from website); (3) Morten Alfred Høirup (by The Mollis).